This entry was posted on Thursday, November 22nd, 2012 at 7:24 am by Miss Plumcake and is filed under Celebrity, Roger Vivier. You can follow any responses to this entry through the RSS 2.0 feed. Both comments and pings are currently closed. We don’t pretend. We eat the can-shaped deliciousness. 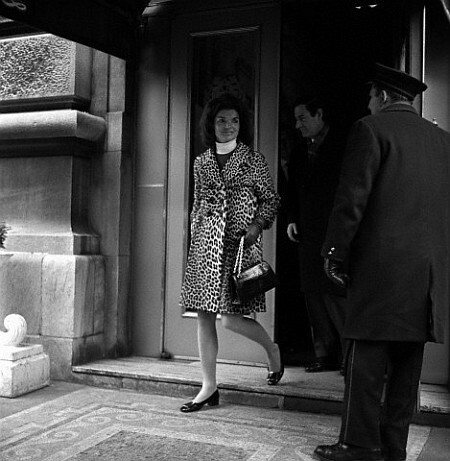 And what looks like the leopard-skin coat given to her by Emperor Haile Selassie of Ethiopia. First ladies just don’t get swag like they used to.